Streamlink 0.5.0 was released yesterday, bringing support for streaming videos from Google Drive / Google Docs, along with other improvements. It is is available for Linux, Windows, and Mac OS. removed dead plugins such as blip.tv, gaminglive.tv, leon.tv, livestation.com and more. Since our initial article about Streamlink, the tool has seen quite a few improvements, including support to use FFmpeg to mux separate video and audio streams, along with new plugins and much more. Check out the Streamlink GitHub releases page for a complete changelog. For a complete list of supported streaming services, see THIS page. By default, Streamlink uses VLC to play the stream, but you can specify a different video player by using the "--player" argument, e.g. " --player mpv" to use mpv instead. For more about using the Streamlink command line interface, check out THIS page. I didn't add a direct deb download link because the PPA provides quite a few dependencies required to install Streamlink. 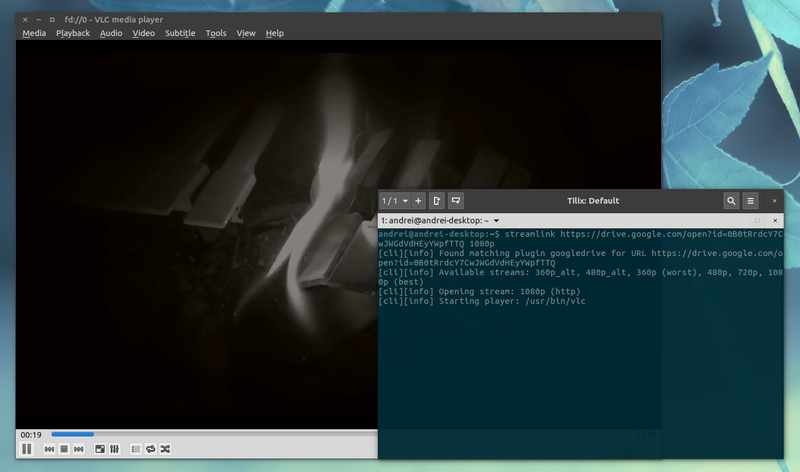 For how to install Streamlink in other Linux distributions, Windows or Mac OS, see THIS page.